North Pole Web Camera 2 sits in large and expanding melt puddle. Last week, a melt puddle began to form near APL’s Camera 2. The pool extended in the near camera field from left to right just beyond the black and white markers. It covered just more than half the field of view and was represented by a thin, though growing, swath of melt water. 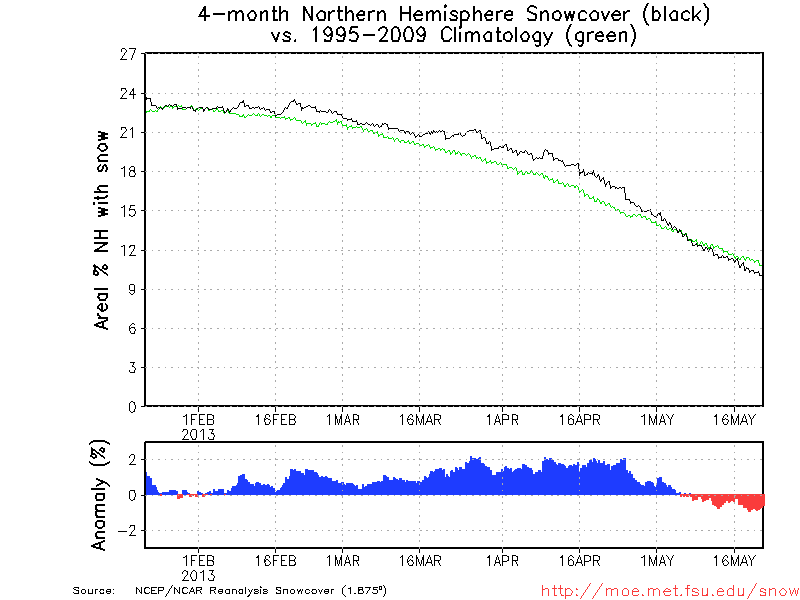 As you can see in the image above, last week’s melt pool has greatly increased. It now covers the entire camera field and has turned the ice on which the camera stands into a tiny island. In the distance and to the left-hand side, we can also see a black stretch of open water cutting between the ice flow upon which the camera sits and a far ice flow barely visible in the distance. Since early June, a series of storms have consistently worn away at the central ice, resulting in thinning over an area that is usually very resilient to melt. 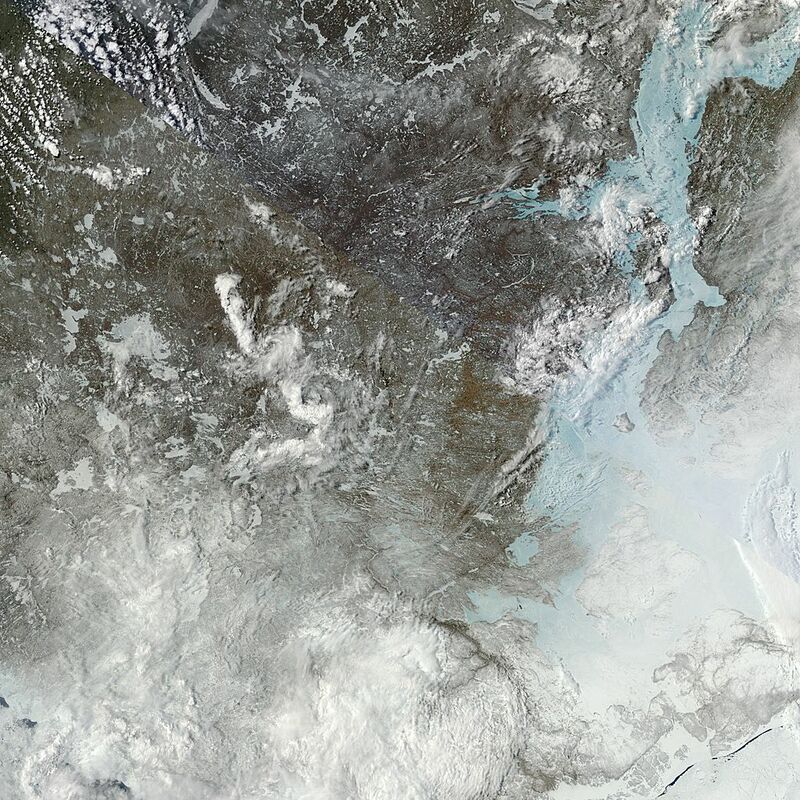 This thinning has resulted in steep losses of sea ice concentration and thickness in a large swath near the North Pole and extending into the Laptev Sea. 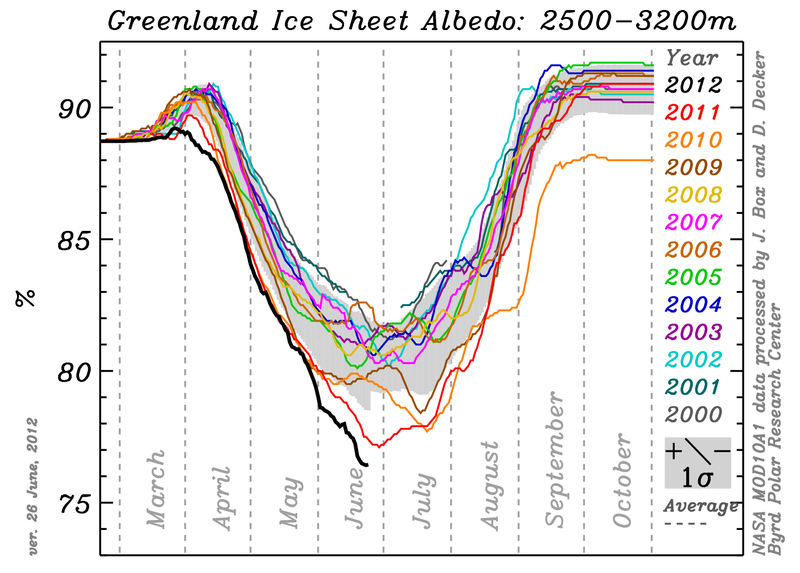 In the most recent model prediction, central sea ice melt is shown to continue to expand through next week. 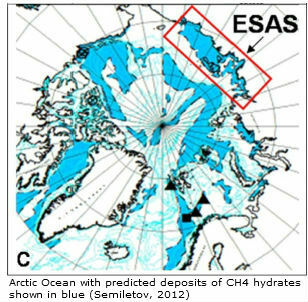 So, through direct observations on the ice and through model summaries like the one above, we have clear evidence of expanding ice melt in the Arctic’s most protected regions. 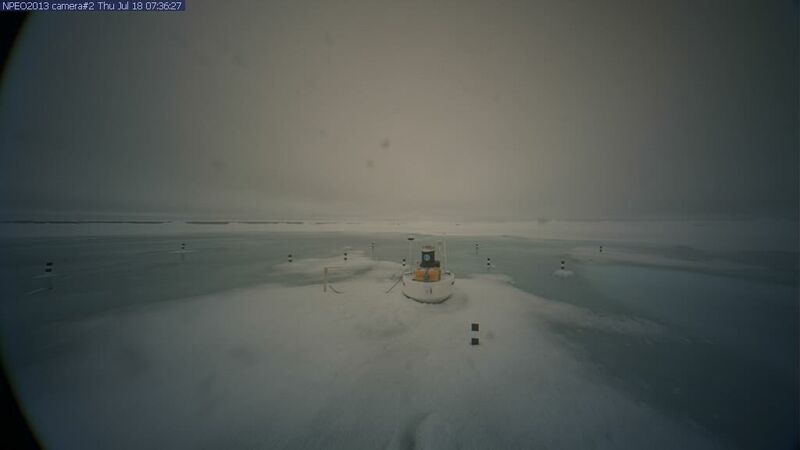 As such, it seems North Pole Camera 2 may soon be in even deeper water. 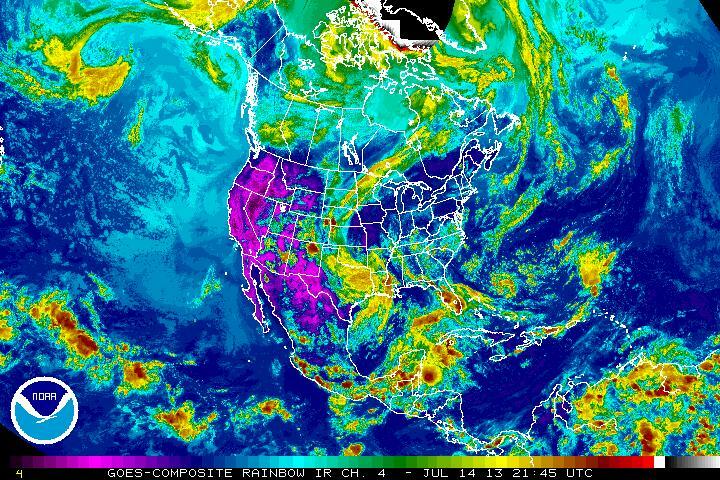 An extreme US summer that has featured floods and heavy rains in the east and drought and devastating fires in the west boasts yet one more bizarre weather pattern: a backward moving storm system. As of last week, a strong frontal boundary had swept into the southeastern US bringing with it another dose of heavy rains and storms. Then the system stalled. Over Friday, Saturday and Sunday, the front and associated low pressure systems have backed up, moving from east to west, passing over the Appalachians, then the Tennessee River Valley, then the Mississippi, until today it reached a central region stretching from Texas all the way north to the Dakotas. This retrograde weather is a very uncommon, but not unheard of, event. In the context of an already strange summer, it adds yet one more anomalous weather pattern to the list. 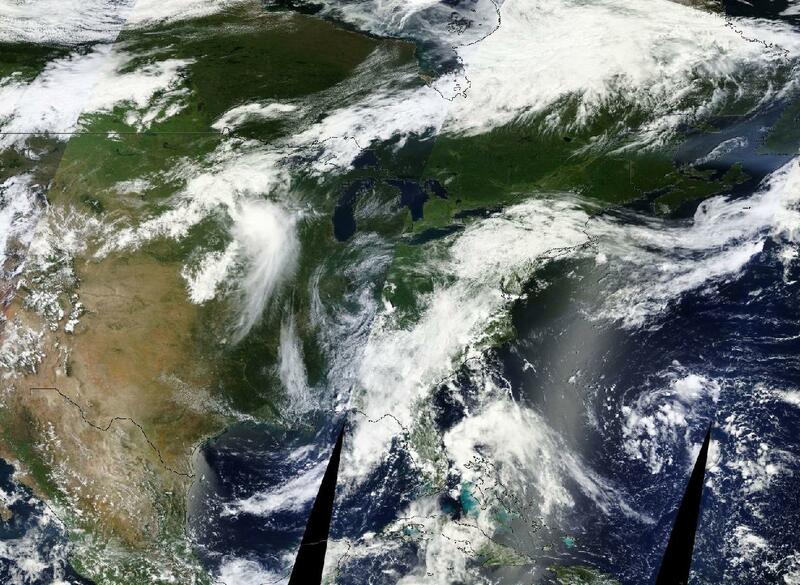 In the AQUA/NASA image below, we can see the position of this retrograde frontal boundary and low pressure system as of yesterday. Note how the eastern front essentially collapsed as it pushed westward forming a bow from Texas to the Dakotas in the image at the top of this post. The cause for this retrograde storm motion is an extraordinarily weak Jet Stream. Over the past two decades, the Northern Hemisphere Jet has continued to weaken as both sea ice and summer time snow cover rapidly eroded. This helped reduce the strong north-south temperature differentials that drove the Jet to move weather systems rapidly from west to east. Now, temperature differences between high and low lattitudes are greatly reduced and, as a result, the Jet proceeds more slowly. One result is that weather tends to persist much, much longer over a given region. Droughts, heat, and dry weather persist in areas where the Jet is pushed into a south-north configuration. 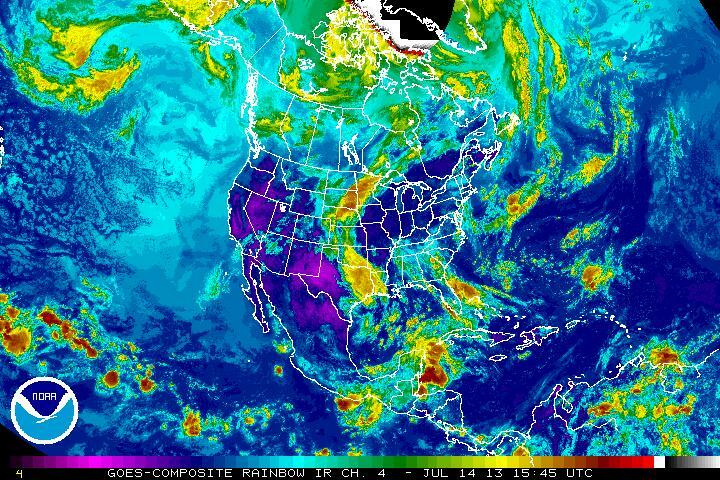 Rain, storms, and cooler weather persist in regions where the Jet is pushed into a north-south configuration. In the case of this weekend, the Jet became so weak that prevailing local influences overcame a hemisphere wide system to drive weather patterns against its ebbing flow. In this case, though, the result may be a somewhat positive influx of rainfall to drought and fire stricken western regions. Let’s hope this doesn’t turn into too much of a good thing. The weather system I reported on earlier today is still moving in its retrograde fashion, east to west, across the United States. It now stretches almost to Utah and appears to be dumping rain in a bow shaped arc from Texas into New Mexico and then re-curving northward back through the Dakotas and all the way through to Quebec. A moist upper level flow issuing from the Atlantic Ocean is still pushing the arching front westward. Sea ice area and extent fell again today by slight amounts. JAXA showed sea ice extent at 3.593 million square kilometers and Cryosphere today showed sea ice area at 2.294 million square kilometers. NSIDC showed a slight bump in extent numbers over the past couple of days. 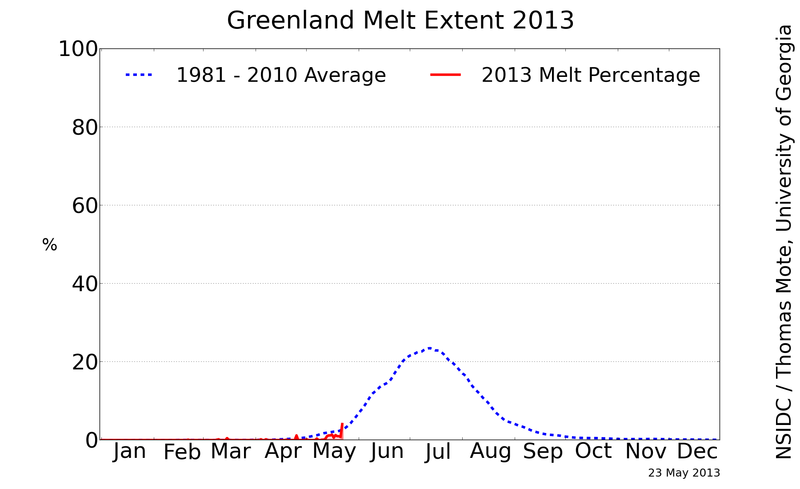 But, in general, most melt values are still slowly ticking lower. Temperatures for the region above the 80th parallel are about 3 degrees C above the average for 1958-2002. These higher than normal temperatures are likely the primary driver for the continued melt we are seeing. 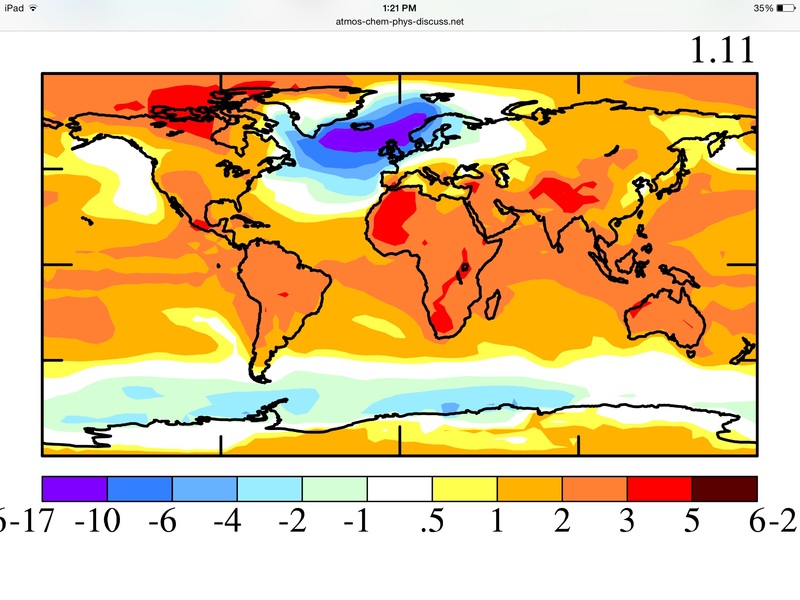 Weather patterns in the area — a persistent high pressure system over the Siberian coast and a deep low developing near Iceland and reaching all the way to Scandinavia and the UK — would usually herald the melt season’s end and, possibly, promote a re-freeze. As yet, this hasn’t happened. However, the slowing melt over the past couple days may be a sign that this pattern is tipping the balance back toward equilibrium or freezing. Overall, these values are likely to be very close to final records set for the end of this melt season. 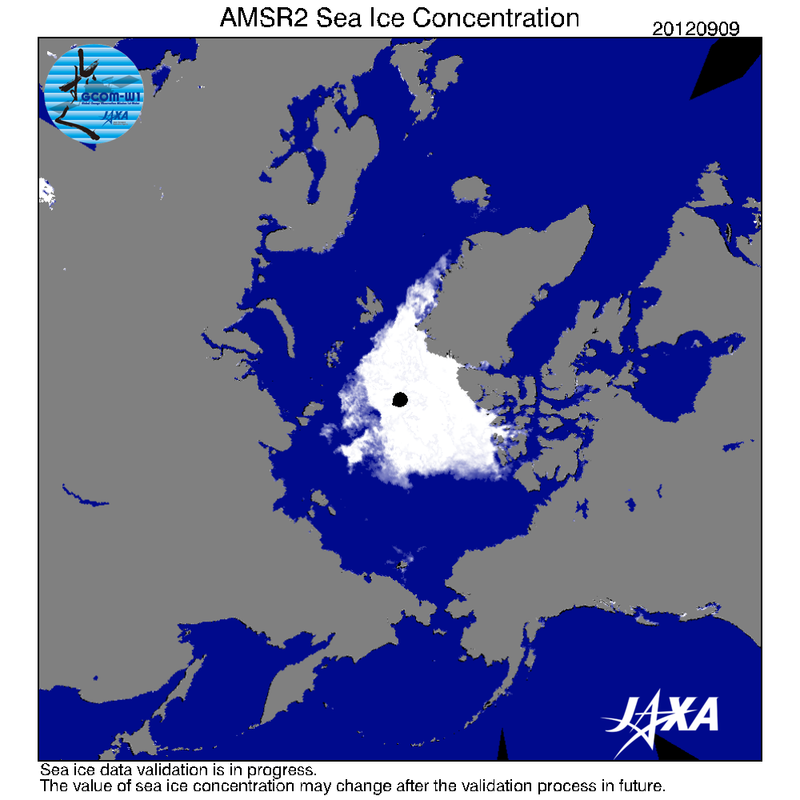 Any further melting is likely to be less than 100,000 square kilometers. In any case, these values are deep into record low territory and represent severe losses of sea ice for this year alone. 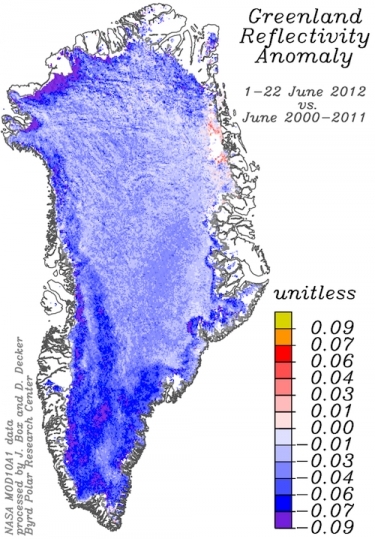 Greenland is beginning to succumb to amplifying climate feedbacks. In short, what this means, is rising seas and the loss of one of Earth’s key cooling mechanisms. 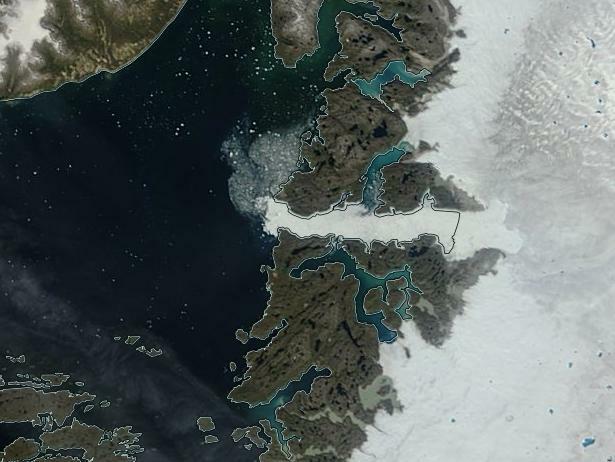 According to polar researchers, Greenland is poised to break melt records again this year and is fast approaching a dangerous ‘tipping point’ after which the ice sheet will go into rapid decline. 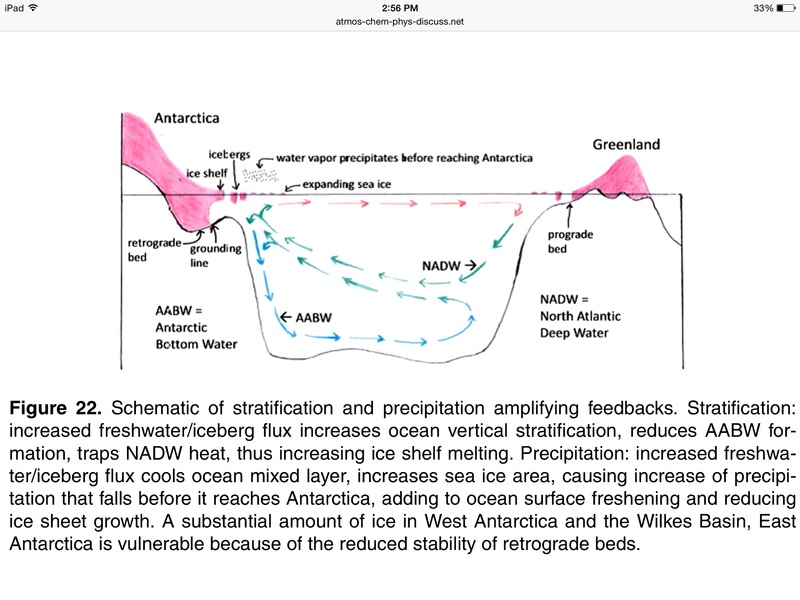 These research findings not only show record melt, but also a rapid reduction in the reflectivity of the ice sheet. Loss of reflectivity is critical because the primary reason the ice sheet remains cool is due to its ability to reflect solar radiation. Now, a surface covered with melt lakes and soot is absorbing more of the sun’s light and heat, heralding the beginning of rapid melt. 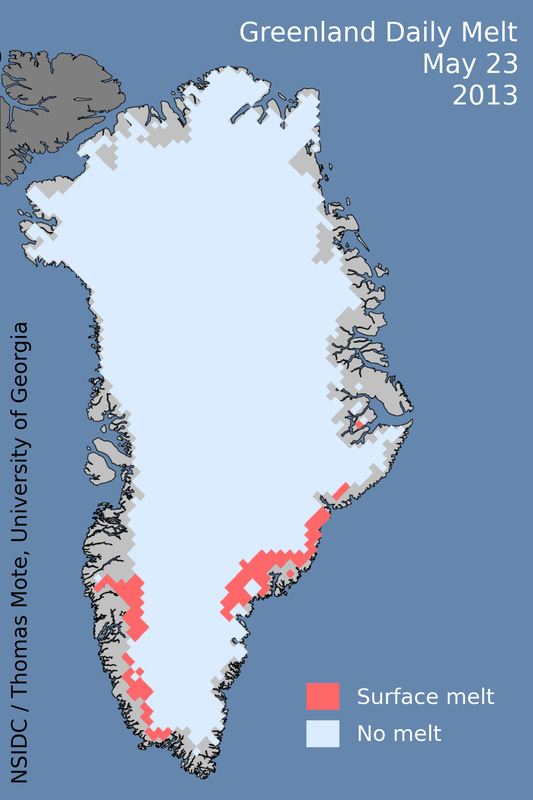 The primary driver of the Greenland melt, however, is human greenhouse gas emissions. Just this year, some places in the Arctic measured CO2 at records of over 400 ppm. Average CO2 worldwide is currently near 397 ppm. This is well above the safe range recommended by scientists at 350 ppm. 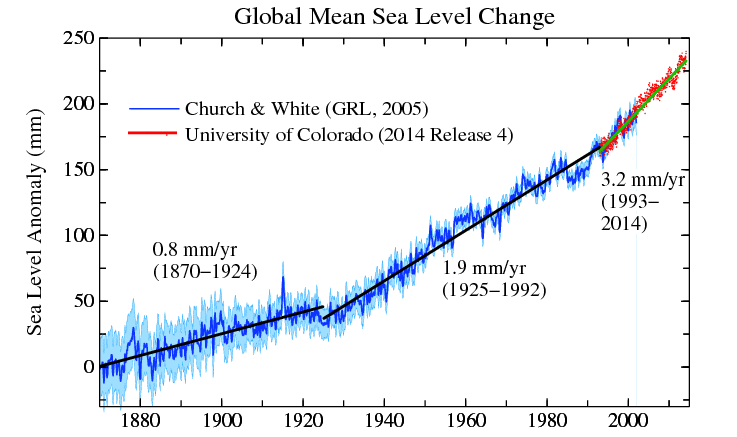 In the geologic past, when CO2 has reached 400 ppm, sea levels have tended to rise anywhere from 15 to 75 feet. 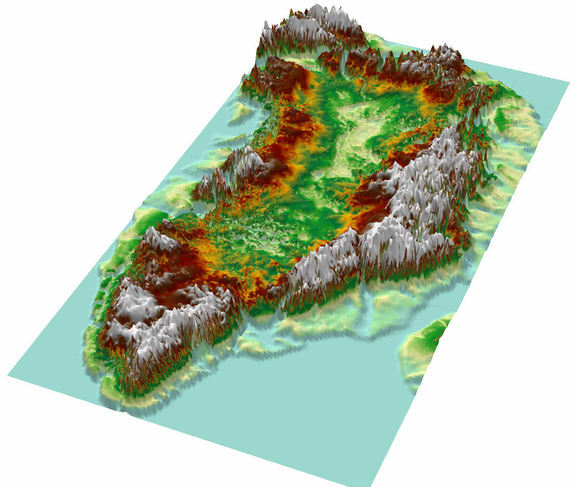 Substantial melt in Greenland could contribute massive volumes of water to the world’s oceans, speeding sea level rise as CO2 heats the world. 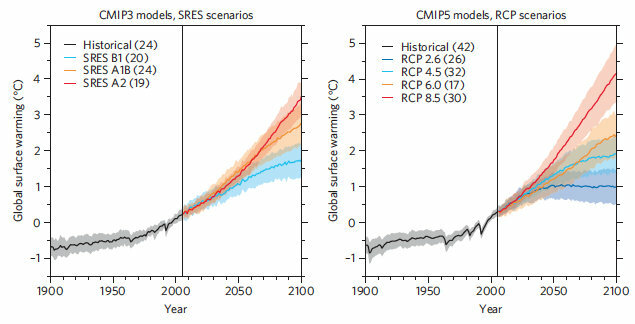 Such an event would likely make current scientific estimates of 1-4 feet of sea level rise by the end of this century seem extremely conservative, especially considering the fact that the same scientists expect CO2 to measure between 600 and 900 ppm CO2 and up to 11 degrees Fahrenheit additional warming by the end of this century. It is important to note that there is no record of CO2 rise occurring at such a rapid pace in all the Earth’s history. Similar increases in CO2 have tended to occur over the course of a thousand years or more. The current rapid increase in CO2 caused by human greenhouse gas emissions is an order of magnitude faster and, therefore, much more dangerous. 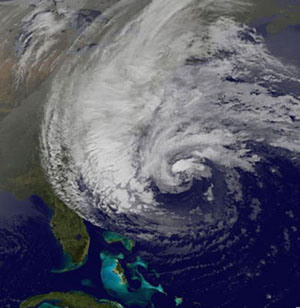 Both the oceans and the climate system have little or no time to respond to this rapid forcing. With such an unprecedented increase of such powerful, heat-trapping, gasses we should expect rapid, violent, and unpredictable changes to the world’s climate, oceans, weather, and glaciers.